Fall is finally here! 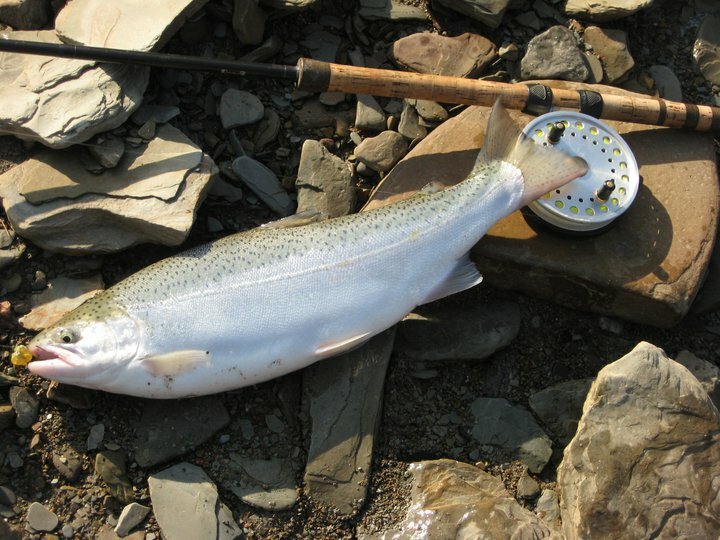 Steelhead ,Coho , Browns and Kings are filling rivers in New York and Michigan. 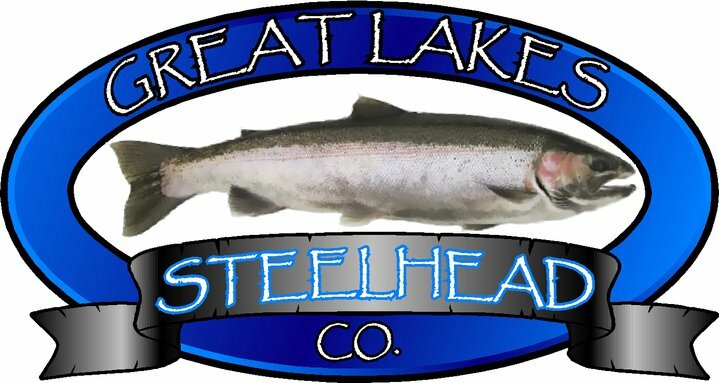 Steelhead are pushing in Pennsylvania and right here in Ohio. Time to dust of my Dan Baileys and head to the river. Ohio has been receiving plenty of rain so you can expect fresh fish threw out the system. 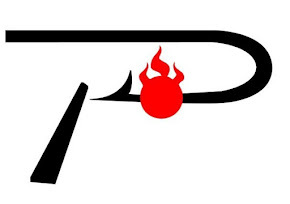 Eggs, jigs and minnow patterns will be best bet. Spoon throwers are also doing well throwing off pier heads and in marinas. Perch fishing is first class right now 34-44 feet from Beaver Creek to Avon Point . Fish are ranging from 8" up. Scotty's Hook and Line Fish Cleaning(1-216-374-2697) is doing a great job getten them cut and ready for the freezer. Walleye fishing has been spotty but reports are coming in from guys running reefs in 15-25 feet as well as 34-44feet. Limits are hard to come buy bit the fish they are catching have been good in size. Don't forget about the Fall Brawl Walleye Derby. You can get they're info right here at the shop or the Fall Brawl Facebook page. This week-end was a tuff one on the Lake. Perch fishing was tuff and with the lake conditions , minnows are getting hard to find. Walleye fishing was also tuff and the guys who made the long run to the Vermilion buoy are the only one to catch. Running Reefs deep was the most rewarding with a few being caught on worm harnesses. With wind and rain all week ,it will be a bit before the bite returns. 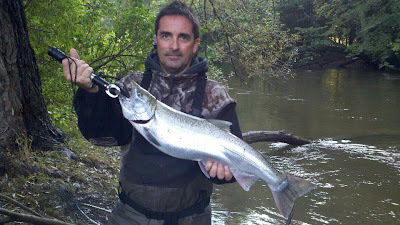 Steelhead fisherman are catching fish down low. Reports are coming in from Vermilion all the way to P.A. Jigs tipped with maggots , and spawn bags have also working. The colder and rainier it gets the more fish you will see come in. If you get the chance check out some of the shops friends website for some hot steelhead beads. Great Lakes Stealhead Co. does a great job coming up with the years best offerings! Cool nights and cold rain are dropping lake and river temps. Walleye should be making the trip back from the East. Reef Runners will become the bait of choice. In the past there will be fish found both North and South of the bar from Lorain to Huron. Perch will remain good in 34 to 44'. With the cooling of the lake jumbos should be more common. Reports of steelhead are coming in Vermilion to Rocky as well Eastern tributaries. Marinas and down low are from ware the better reports are coming from. Large streamers ,jigs as well as spawn have all been taking fish. Cloudy days ,early mornings and late afternoons have been best. Pic above was proudly stolen from Dan McCutcheon. Reading a new book about Steelhead Alley has my blood pumping again. Steelhead river fishing is just around the corner. Cool temps and the Salmon running in are sister states can only mean its almost here. With high winds, walleye and perch fishing is on hold for a few days. The past week sure did let us know its perch time with limits being caught in Lorain, Avon Lake ,Rocky River and all ports East. The best size fish have came in from Avon Lake and East. Shiners have been in good supply with the latest hatch about 1.5". Walleye fishing on the East end of the Lake slowing it will soon be time for the Lorain shore line West to pick up after this blow. With most fall bites Reef Runner and Colorado's ran under 2 mph will for sure fire up. Have a great week and get ready for a great fall!